Enjoy this unique infusion of delicious Waggle Dance Honey and Vanilla Beans from the island of Madagascar. It's simply divine. Pour over desserts, add to your smoothies or your special tea or simply enjoy straight from the jar. Just try stopping yourself. 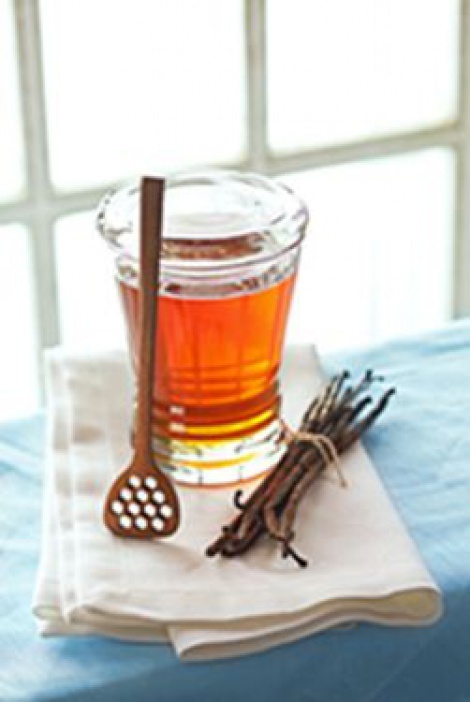 Combine honey, water and cinnamon in a large saucepan.Bring to boil, reduce heat to medium-low. Simmer stirring occasionally until sauce thickens and reduces. Cool to warm. Stir in berries and lemon juice. Pour over waffles, pancakes, french toast or spoon over muesli or yoghurt.